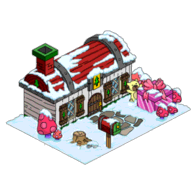 ← Should I Spend Donuts on Eski-Moe’s? Should I Spend Donuts on the Returning Items in the Holiday Bazaar Round 1? Note: There will be 3 rounds of the Holiday Bazaar. Right now the timer on these items is showing that they will leave stores on Jan 2nd. HOWEVER…the next round will be added to the store on the 22nd. So if you’re thinking about buying any of these items you may want to do so before the next round hits…just in case. My Opinion On It Now:Doesn’t do a whole heck of a lot…BUT it’s only 10 donuts and from Christmas 2013. I’d spend the donuts for the classic building. What Does It Do : Decoration, that only looks correct when the snow is in Springfield. Otherwise it’s a melted mess. My Opinion On It Now:If you missed out on him before now’s your chance to grab it for only 10 donuts…not bad. My Opinion On It Now:Not bad for 10 donuts. But if you don’t have a use for it…pass. Cost: 3 Donuts, 2 Donut Rebate, NET 1 donut. My Opinion On It Now:Meh, it’s 1 donut. Hard to have an opinion on something that costs 1 donut. Cost: 110 Donuts, 20 Donut Rebate, NET 90 Donuts. 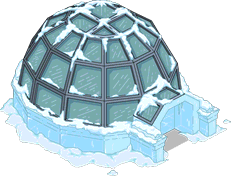 What Does It Do: It’s an igloo, what do Igloos do? My Opinion On It Now:Meh. 5 Donuts isn’t bad for bonus % paid (20 donuts (4 Igloos) would get you a 2% bonus), but the footprint is pretty large. I’m firmly in the meh column on this one. What Does It Do: Decoration, that only looks correct when the snow is in Springfield. Otherwise, it’s a melted mess. My Opinion On It Now: If you’re a bonus % collector, this is your best buy. My Opinion On It Now: It’s a fence, and it’s a donut….do you really need my opinion on this one? My Opinion On It Now: Classic episode, if you have fond memories pick it up. Otherwise pass. 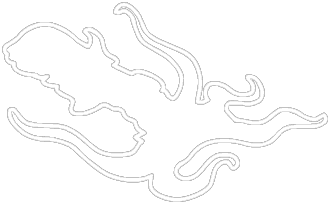 What Does It Do: It’s a chalk outline….nothing. My Opinion On It Now:It’s 5 donuts, do you really need my opinion? This entry was posted in Donuts, Tips and Tricks, Updates and tagged best item for bonus percent, Rigellian Christmas, should I Buy cult flying saucer, Should I Buy Egg Nog Bar?, Should I Buy elf Home?, Should I Buy Fancy Igloo, Should I Buy Grampa Snowman, Should I Buy holiday Bazaar items, Should I Buy Pagan Bonfire, Should I buy Rigellian Plant, should I Buy Rigellian Tribal Hut, should i buy snowcat, should I Buy Wiccans, Tapped Out Christmas Event, Tapped Out Kang and Kodos Christmas, Tapped Out Tips and Tricks, task at the manger, The Simpsons Tapped Out, TSTO Addicts, TSTO Alien Invasion Event, TSTO Christmas 2017, TSTO Tips and Tricks, TSTO Winter Event 2017. Bookmark the permalink. I have bought kinda many Snowball II Snowcats but I just realized that my bonus % hasn’t increased. Merry Christmas and Happy Holidays to all! I know there are a lot of questions being asked about upcoming items and characters and you must be sick of answering them by now so I hate to be a pain, but could you tell me if I should save my donuts for Shiva or if it’s safe to spend them on the more time sensitive items. Sorry again and great job keeping up with Christmas event! Not sure if this has been mentioned: for those wanting to level up through crafting levels quickly, I found a trick. 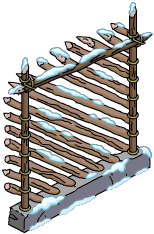 Buy 1 pack of 4 candy cane fencing, but if you keep placing them for 5 each, you’ll get a credit of 20 towards leveling up for each single fence. I bought 20 something fences for 100, but went up a level plus most of the next. They let you buy them one at a time for 5 thingies (are they wooden plank baby Jesuses in a blanket?) each after you buy the pack of four for 20. So you can keep on placing until you run out of thingies. I’ll have to check to see if I’m getting a credit also. I only noticed that I could buy them one at a time. You said of the Pagan Bonfire, “Not a bad price for all you get with it.” What do you get with it besides the bonfire itself? Also another place for Simpson’s family togetherness in the holiday spirit. Off topic and not to complain but I’d rather see information on new stuff before returning stuff. Like the Peak Inn, it indicates “earns event currency” but it’s not in the info box. LOL… I always love comments that start with, “not to complain.” Here…let me make this simple. The Inn earns a minimal amount of currency. The price isn’t bad for a character/combo. It won’t help much with the overall event. But, if you like to be inclusive in your holidays…get it. Oh. Also, she is one of the “brought back to life for the game” characters. First, i go off of timers. I post things leaving sooner first. (In this case more items will be added to the bazaar on the 16th, which would make this post even longer and really drain me. So I’m breaking the bazaar up into releases). With regards to the peak inn, just like elf Lisa and Bart say they earn event currency and I explained in the question corner post…. they won’t earn event currency until act 2. That being said, and because they’ll be in the game until the 2nd, i have zero intention of writing should i buy posts about them (peak inn and elf bart/lisa) until Act 2 starts because that’s when they’ll actually have some event pros. And we’ll know how they earn the currency for sure. Hard to write about something if it’s not working to it’s full potential yet. So my advice, wait till Act 2. Or buy them because you like them. Nothing I would say in a sib post now will sway you one way or the other. Bought the bonfire. Nice bonus. And it is currently keeping People warm in front of Jesus’ workshop. 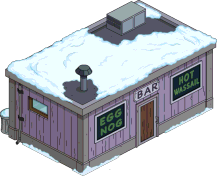 The Eggnog Bar, for some reason, is one of my favorite buildings in Springfield. There isn’t anything remarkable about it, I just like it. Me too, have had it set up in front of Kamp Krusty for a long time…somewhere all those worn out campers can hang after a long day of “arts and crafts” 😓🎉. Yeah, I’m getting it anyway. I’ll be like Sam in Cheers, selling alcohol he can’t drink. I’ve posted this before, but I love the elf homes for the listed reasons: solid bonus %, income, and small footprint. They are festive with colored smoke (blue with subtle yellow and pink sparkles) puffing from their chimneys. Tapping one indicates its task is “Hunting orcs”, worth a chuckle for this LOTR fan. Finally, if you have several, you can arrange them into a mini Christmas village, which consistently makes me smile. I highly recommend them if you have spare donuts after making your big event purchases. I plan to leave them out there even for spring/summer. I have one set flanking the row of T-shaped trees that’s forming the boundary. Another set will be by the oasis. The melted blotches will still fit in when the grass returns. I went nuts. I spent every donut i had on melting cats. I did this a few years ago with some snowmen and I still can’t remember where I hid them! So even though they are still hiding in someone’s backyard, at least I know I am still getting the bonus %. Can you look for them with the transparent houses thing, now that it’s winter again? I wonder if they won’t melt? I have some other ice statues that don’t. 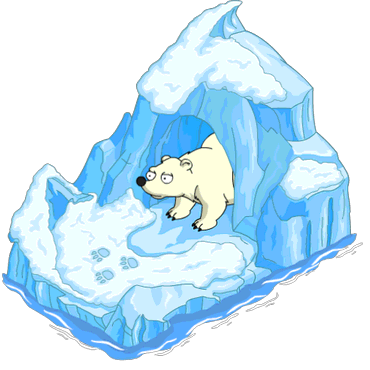 I have an old Snowball II ice statue in inventory, but no bonus for it. So maybe the bonus one has different melting behavior also.